(Seychelles News Agency) - A top Indian hospital plans to help set up a university medical centre in the Seychelles, expecting it to help retain the Indian Ocean island’s doctors while attracting patients from abroad. Managing director of MIOT International, in Chennai, India Dr Prithvi Mohandas announced this on the archipelago’s main island Mahe after talks with the island’s Vice-President Danny Faure this afternoon. He said his Madras Institute of Orthopaedics and Traumatology is ready to invest 50 percent of the $5 million needed for the initial phase of the hospital, which is expected to grow to a $15 million facility. He said the project to launch the hospital is expected to start in 18 months. “Seychelles is an ideal place because of the fantastic weather, the appreciative nature of the people and existing level of health care,” Mohandas told journalists. He added that staff from his hospital in Chennai have had good interaction with patients from the Indian Ocean island nation when they visit India as patients or when medical teams fly to the islands to boost health care delivery. 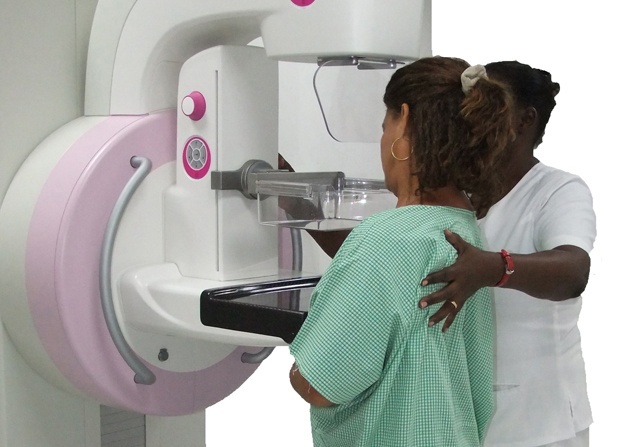 "I’m happy to note that through the good cooperation we have had we have managed to clear all backlog in the Seychelles radiology section,’ he said, noting that his talks with Faure touched on plans to better educate the islanders to take more cancer evasive action including early diagnosis and prompt treatment. A high calibre teaching hospital on Mahe, he said, will also help lure patients from abroad, that will help cut treatment cost for the islanders, while retaining the country’s doctors. Seychelles’ Principal Secretary for health Peggy Vidot said the hospital would help retain doctors because many leave for challenges such a hospital would offer them, for example treating a wider variety of ailments than those found on the Indian Ocean archipelago. “Others would like to be more involved, for example by being lecturers in a university hospital so if we establish one, they would get that kind of job satisfaction,” said Vidot. Seychelles Vice-President Faure visited MIOT international hospital in Chennai February 2014 to assist the 15th anniversary celebrations of the medical institution. It was during that time that the Seychelles Health Minister Mitcy Larue together with the Chairperson of the Health care facility signed an MOU for such cooperation that has been announced today. The Seychelles government has been sending patients for specialized overseas treatment at MIOT international since 2003, whereby only orthopaedic cases were referred as it was only a trauma orthopaedic hospital. The Seychelles Ministry of Health says nowadays most Seychellois patients requiring overseas treatment are being sent to MIOT international as it is now a multi specialist hospital. The ministry refers an average of 132 to 185 cases to the international medical institution each year.